An abstract journey over an enormous space, which in reality only spans a couple of centimetres. 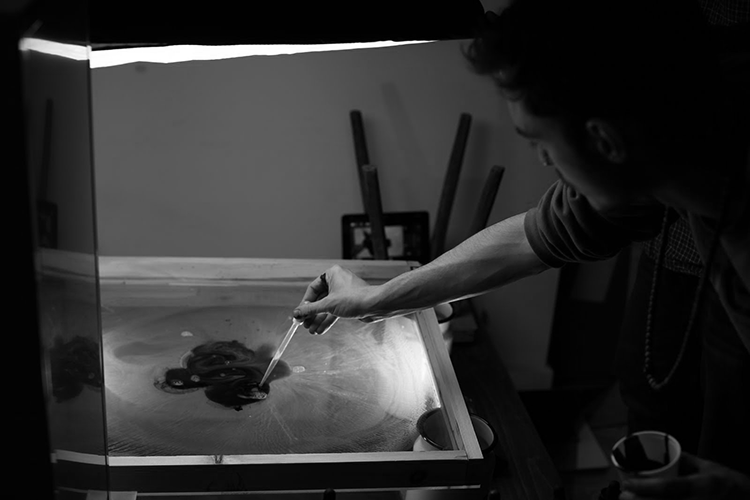 “Our backgrounds are in digital production, so the idea was to get our hands dirty and create something that we’d normally computerise, but using analogue materials. Apart from a bit of grading, ramping and a couple overlays, everything you see in the shots is unaugmented footage captured over 9 takes with 3 different cameras."